"Alex recently gave me one of the best and most thorough deep tissue massages I've ever had. He is not only professional, but has a great understanding of the body and intuitively knows where your tight spots are." Alex Diaz gave me the best massage in Santa Barbara! I live in New York and after his first massage I come to see Alex once a month. you won’t be disappointed. He’s amazing! 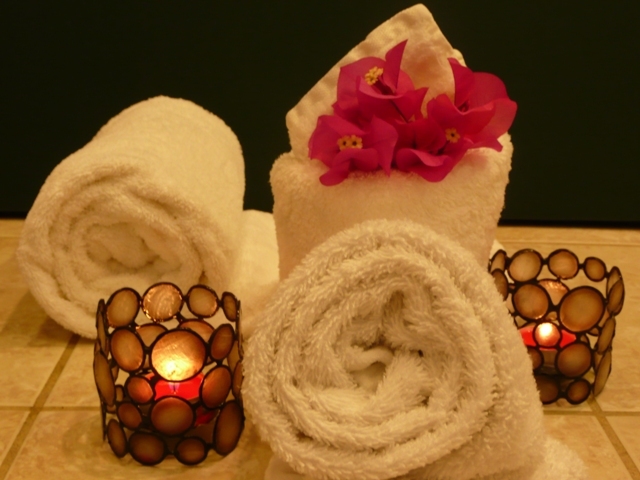 "Alex is an exceptional massage therapist. He is very knowleagable, professional and able to target each person's areas of greatest muscle tension. His Thai Massages are one-of-a-kind. I highly recommend his treatments." Alex Diaz is our premiere choice of massage therapist in southern California. He is experienced, educated and understands the proper pressure required to relieve stress. His touch soothes muscular injuries and, as importantly, his bedside manner is a pleasant and professional. We look forward to our sessions with Alex. "Alex was great! Extremely responsive to my requests for therapy. Alex gives an amazing massage. Since my first session with him, I've never used anyone else. He’s extremely knowledgeable and offers an extensive variety of treatments (none of which disappoint). I've always found him to be quite skillful and sensitive to my body. He’s professional and trustworthy, with a good, positive energy. Best of all, I always know I'll feel better after seeing him. I choose to do it, and I can say that Alex is one of my favorites by far. He has a lot of knowledge and his treatments are just heavenly!